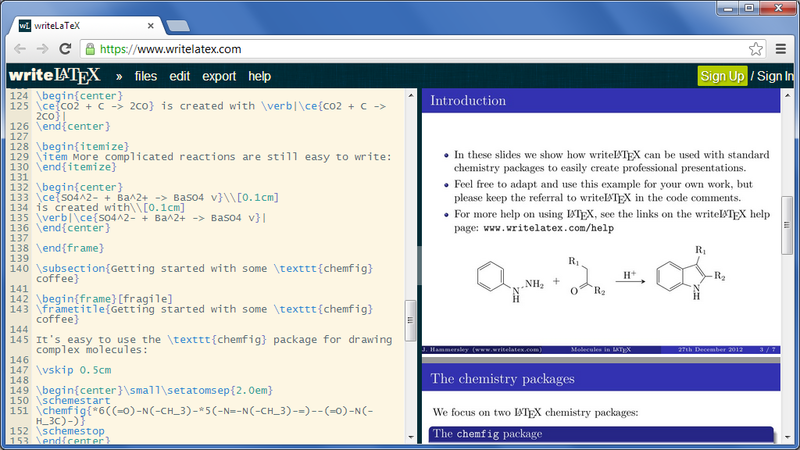 Create your first LaTeX document today! The fastest growing online platform for scientific writing, writeLaTeX is bringing the power of LaTeX to all scientists & technical writers. You can start writing with one-click, as there's no sign up required and nothing to install. You can edit & collaborate anywhere, anytime - writeLaTeX works great on your iPad as well as your PC & Mac. Student, teachers, academics and professionals from all around the world are using writeLaTeX to create, store, and promote their work. 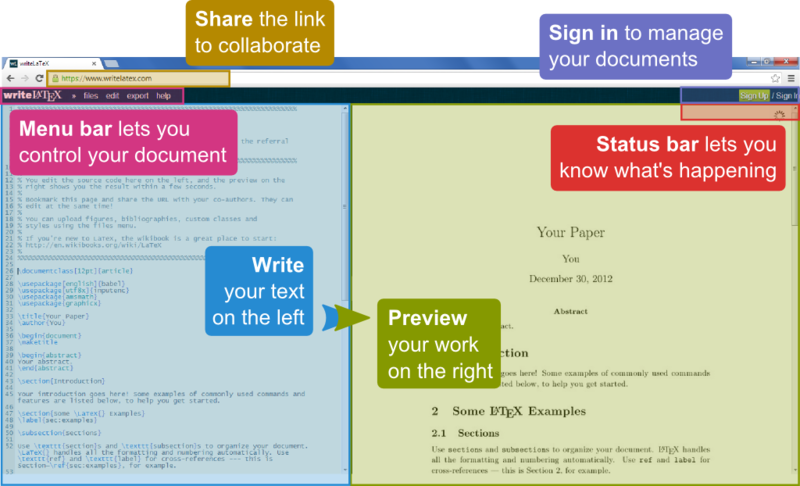 Universities are using writeLaTeX to teach their courses, with students logging onto the site to complete their project reports and homework assignments. Join the growing community of writeLaTeX-ers and create your first document today! For more details, check out our Tutorial page. This article was originally published on the ShareLaTeX blog in October 2012 and is reproduced here for archival purposes.